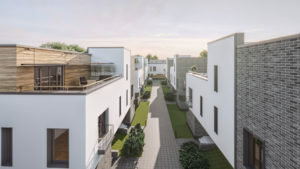 Home » Real Estate News » Northville, this oasis of 31 beautiful new villas in Băneasa, welcomes expats of Bucharest to join its exclusive community of happy owners. 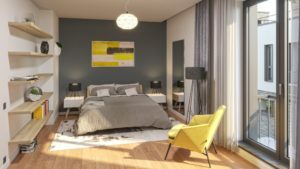 Expats of Bucharest, there is a new residential complex in town! 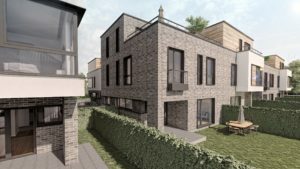 We are excited to announce our privileged partnership with Northville, the developer of an exclusive complex of 31 brand new two floors villas in Băneasa neighborhood and to inform our old and new friends from abroad about the chance to be the happy owners of a property in this beautiful development. 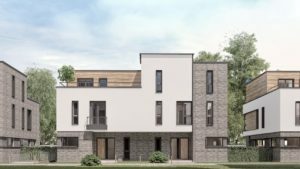 If you are living and investing in Bucharest, buying a property in Northville may be just your next smart move, not only because of the top quality of the houses here, but also for their potential as investments. 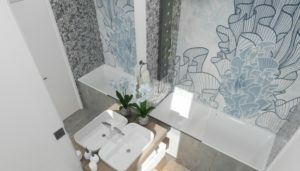 Built on 7,500 sqm plot of land in Baneasa, a place with a long history and rich cultural heritage known for its numerous real estate commercial and residential developments, recreational venues and business opportunities, Northville is a new development of luxury independent villas at very seductive prices located nearby Baneasa Shopping City at the address Drumul Potcoavei 59 (see on map). There are 6 types of smart houses in Northville with large surfaces and bright spaces varying between 220 and 270 sqm, with an average of 80 sqm per floor, parking space, basement and direct access to all facilities: community pool, children playground, beautiful alleys for morning and evening activities, and many other options designed to offer its owners a comfortable and good life. 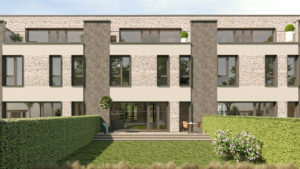 The developers incorporated new technologies and smart features in each house. Depending on their particularities, the 6 types of villas were beautifully named after magnificent trees: Elm (8 villas), Pine (8), Oak (3), Cedar (3), Maple (8) and Walnut (1). 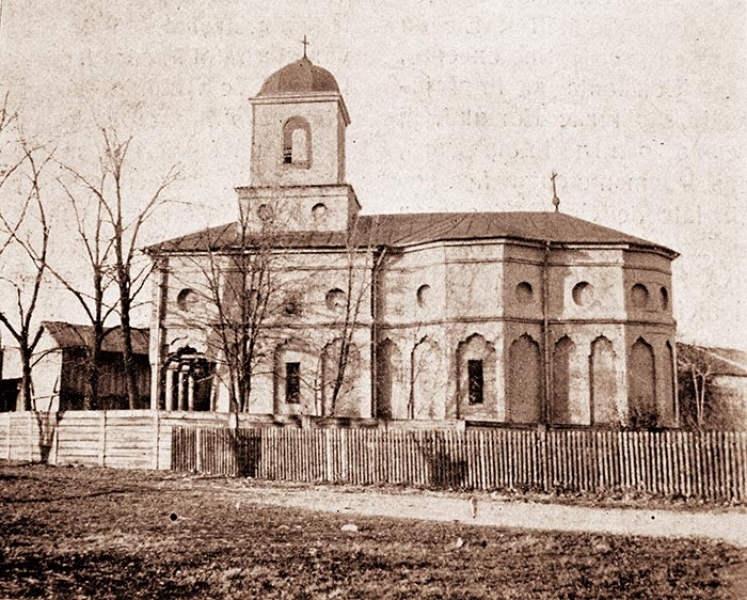 What do you know about the history of Baneasa? Maybe you are also one of those people who hear and feel the calling of places. Their vibes and energy, their cultural and historical print that transcends time and reason into our present times. Many people choose their next travelling experience and home based on what they feel for one place or another. Places speak to us in languages of their own and they have their own stories. And their stories become also part of our own and we are becoming part of theirs, the same way Northville becomes a new page in the chapter of the history and architecture of Baneasa. The current Băneasa neighbourhood is the former estate of Count Montesquiou Fezensac and his wife, Princess Maria Bibescu. The name of the neighborhood, “Băneasa”, means the ban’s wife, in this case the wife of Banu Dimitrie Ghica. “Ban” was a major territorial governor in some Southeast European countries in the medieval times. Maria was the daughter of the ruler Gheorghe Bibescu with his second wife, Marica Văcărescu-Ghika. 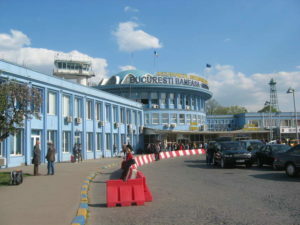 On a portion of the Montesquiou-Fézensac estate, the Baneasa aerodrome and the Băneasa suburban commune were born, today Băneasa district in Bucharest. The French aviator Louis Blériot was the first pilot to conduct recreational flights on the old Baneasa hippodrome. Initially, on these places was an old village called Cârstăneşti. In 1761 the village became the property of Ecaterina Văcărescu, the widow of the great Ban Serban Văcărescu. Shortly after he became the owner of those lands, the widow built Saint Nicholas Church, located on the left side of DN1. In the interwar period, the village of Cârstăneşti was administratively transformed into a commune, and the inhabitants mostly dealt with the preparation of milk and cheese, so sought after in the Bucharest of those times. It was even a tradition in the interwar period for the girls of Cârnăneşti to bring every morning the dairy products to the city. They entered the Kiseleff venue, carrying on their shoulders wooden pails with cream and cheese, and then spreading over to their clients houses. the Baneasa shopping mall and the US Embassy with “broken” surfaces from the former Royal Farm. Baneasa Railway Station, the Royal Station, was built by the General Directorate of CFR (The Romanian Railways) in 1936 in order to create a solemn framework for royal receptions. Baneasa Railway Station was the station where the royal train left King Ferdinand and Queen Maria to begin the parade of 1 December 1918. 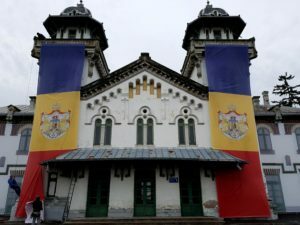 The plans of the current building of the train station were drawn up by the architect Duiliu Marcu and the execution belonged to the team led by Mihai Gheorghiu. From here, King Michael I went to the wedding of Queen Elizabeth II of Great Britain. The train station had a super-efficient air conditioning system for the 50-60s. At the reception of the official delegations the platform was covered with a huge Persian rug. The head of the station was the one who was driving the train for both the special train and the ante-flyer, which usually went 30 minutes before the special train for security reasons. Currently it is not used by CFR for passenger traffic, rather than occasionally, especially during the summer, when two pairs of seasonal trains run on the Timişoara-Mangalia and Deva-Mangalia routes. The central building of the Baneasa Royal Farm is currently located on Ion Ionescu de la Brad Blvd. no. 8 in sector 1 (it shelters today the Institute for Research and Development for Plant Protection (ICDPP)). The farm had an area of ​​28.43 ha (according to the decision of the Council of Ministers of June 18, 1948, confiscating the properties of members of the Royal Family of Romania ). In the interwar period, the farm included both areas on the west of the Bucharest-Ploiesti highway (between the current streets Jandarmeriei, Gheorghe Ionescu-Sisesti, Ion Ionescu de la Brad, DN1), and to the east (north of Baneasa Airport to Aleea Privighetorilor, where the commercial complex (mall) Băneasa is now located). Near the headquarters of the farm, but without being confused with it, there is the former home of Professor Nae Ionescu (which became, after 1940, the residence of Marshal Ion Antonescu). Baneasa Airport, nowadays called Aurel Vlaicu, was inaugurated in 1920 and its rise is partly due to the Bibescu family. Prince Valentin Bibescu, one of the best Romanian pilots since the beginning of the 19th century, gets the land from his aunt, Countess Maria Bibescu, and builds here the first pilot school for soldiers. It expands, it becomes an airport, and on the land of the Bibescu family, voluntarily donated to the Romanian state, the repair workshops are being built, Romaero’s forerunners today. Today’s Baneasa Airport building and control tower date back to the 1960s. The church of St. Nicholas Băneasa, founded by Ecaterina Văcărescu, the widow of Ianache who was beheaded with our great ruler Constantin Brâncoveanu, and finished by the poet Ienachiță and his wife, was the chapel of the Văcărescu family for their mansion outside the city and in 1864 it becomes the church of the villagers. It is first painted in oil in the first half of the 20th century and its protective wall gets built in 1939 when the modernization of the Bucharest-Ploiesti highway began. 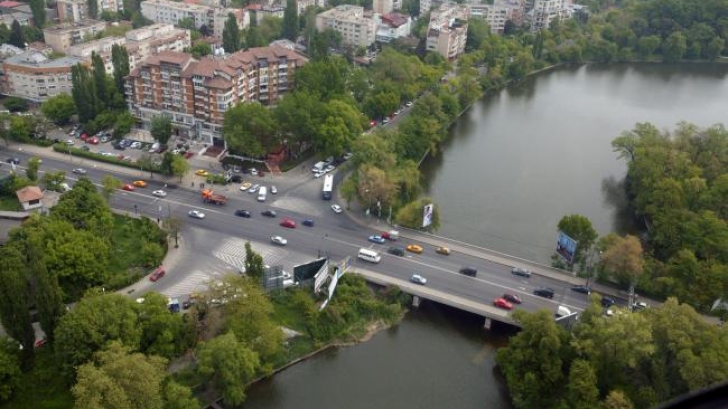 Băneasa Bridge, former Miorița, has a painful post-Revolution story. The original bridge was built in 1936 and was part of the Miorița Fountain and Royal Station. 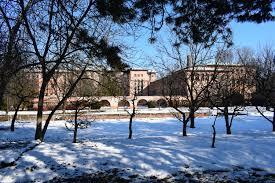 It was even called the Mioriţa Bridge, a beautiful architectural bridge, with ancient history. Altered by time and lack of attention, it had to be restored, and on this occasion the decks with the emblems of the regions of old Great Romania were removed without being replaced, although the old bridge was a historical monument. This former historical monument was an emblem of Bucharest, with historical importance in defending the capital during the battles of August 24, 1944. Nicolae Minovici House or The Villa House with Bells, today Prof. N. Minovici Museum of Folk Art, is a beautiful and interesting building, rehabilitated by the authorities. Next to this house is the Museum of Old Western Art, a building and collections belonging to Dumitru Minovici. Nowadays, Băneasa neighborhood covers an area of ​​about 25 hectares and is part of Sector 1 of the capital. The area is crossed by one of the most important traffic streets of Bucharest, Bucuresti-Ploiesti, which provides access to the National Road 1, Baneasa Airport and Otopeni Airport. In the interwar period, the northern boundary of Bucharest was the Colentina River, regularized and sanitized by the engineer Nicolae Caramfil’s projects, which created the lake of lakes in the immediate vicinity of Băneasa commune. The hearth of this village was located on the left side of the road connecting the capital and the city of Ploiesti. After 1950, when the commune was administratively included in the city of Bucharest, its territory became a district of the city. The area represented by the Băneasa parcel was shaped at the beginning of the 19th century, with rectangular streets and parcels of minimum 400 sqm. Here, in the interwar period and immediately afterwards, houses were built with only one level and all the amenities. However, between 1980 and 1985 a large part of them was decommissioned and replaced with blocks with a maximum height of P + 4E height. 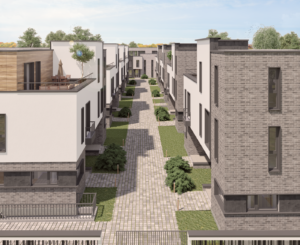 People of Baneasa love their place here and so does Northville developer. 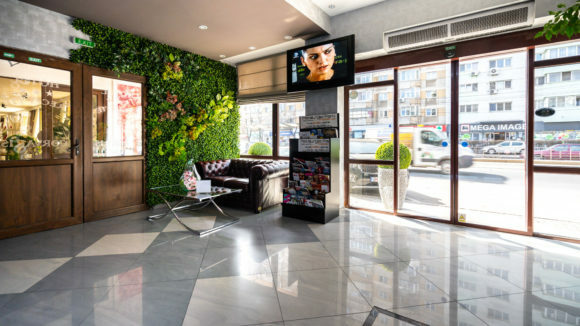 There are less than 10 minutes to Henri Coanda Airport and less than 20 to major adventure themed parks and recreational areas near Bucharest, great clubs and nightlife, best foreign schools and everything you can think of, especially people alike. 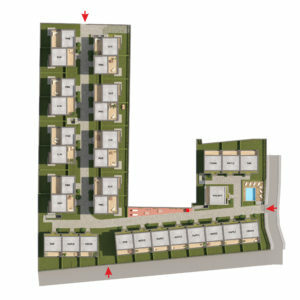 People with a strong faith and sense of dignity and nobility will buy the Elm villas. Positive thinker with a strong sense of their uniqueness and particularity will choose the Pine villas. The strongest ones are also the most sensitive ones and they’ll choose the Oak settlements. 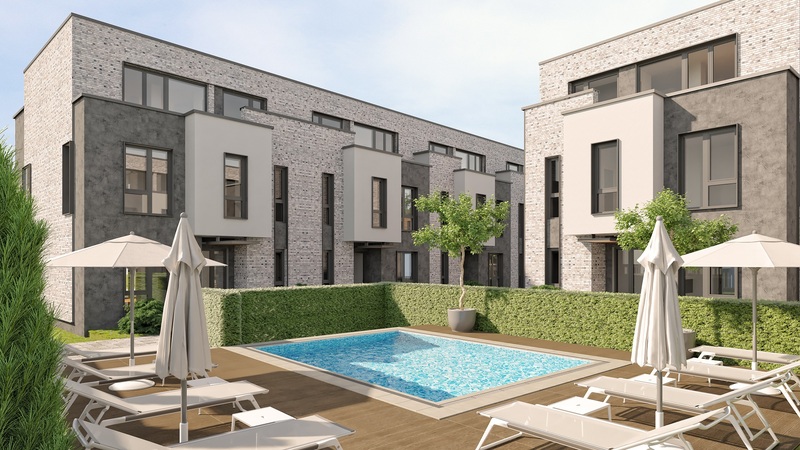 People who play the game of life on the cards of trust and inner beauty will surely choose the Cedar homes. 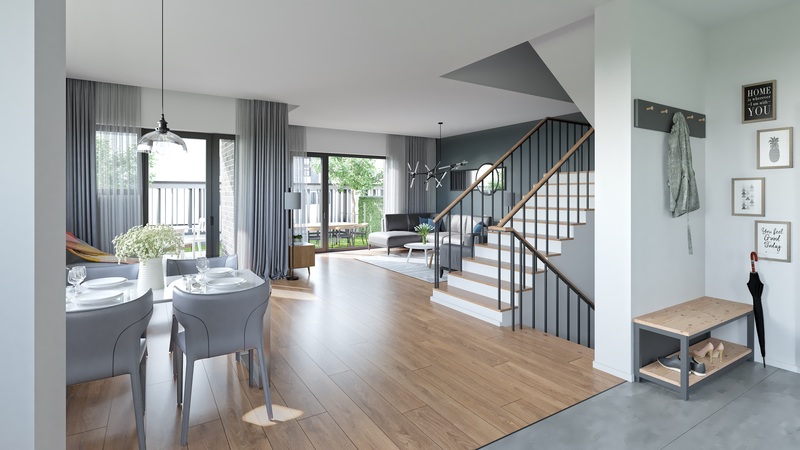 The Maple homes are destined to unconventional folks and independent thinkers. …while the Walnut house is made for the ones with large horizons and open minds, passionate about life and its unknowns, and deeply in love with contrasts. Which Northville home will you choose? We wonder. Whatever is the tree that you are and that you love, call Bianca to take you to Northville to choose the place you will call home from now on.